Benoit Greindl, co-founder and manager of the mountain retreat Montagne Alternative in the Valais region of Switzerland, in this interview shares his story and tells us why a focus on resilience and sustainability in tourism is no longer a “nice to have”, but a necessary requirement for meeting traveller expectations. 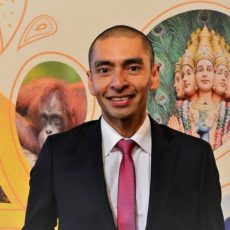 Our interview with Benoit is part of a special series of interviews with Swiss sustainable tourism leaders and changemakers. Benoit, you spent much of your professional career so far in real estate development. Why did you decide to build and manage the sustainable mountain retreat Montagne Alternative in the Swiss Alps? To align myself and combine an activity at the crossroads of PASSION-HIGHER PURPOSE AND SKILLS. Also to use that wonderful place to connect people and organizations to nature and promote a new way of doing business. Would you say your view on tourism has changed since taking over the management of Montagne Alternative? I’m the co-founder of MA and working in the Alps in a remote place such as Commeire after 5 years in Shanghai in the commercial real estate business, has been a drastic transition. For me it has been a real deep transformation, not only of the way I was doing business, but also a new way of living. Which aspects of building the retreat did you find the most challenging? 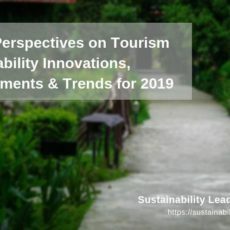 In times where the economy has become more local, circular and based on usage rather than ownership, how can tourism businesses and destinations use this momentum for a better integration with the environment and communities? We designed our project following the principles of the Regenerative Economy to create a unique space for companies to discuss, learn and experience those new concepts. The goal is to make them living a real experience of what is “the positive economy”. MA is a kind of show room of that economy, and this is why we became the first B Corp in Switzerland in 2014. Social businesses like Swiss Youth Hostels have for a long time practiced a business model which goes beyond financial gain. Can you briefly describe the business model and philosophy of Montagne Alternative? As a B Corp, we aim to use business as a force for good. We believe that if we create value for all stakeholders, we will create sustainable returns for the shareholders also. It is also the way to attract the best talents, the best suppliers, the best clients, enjoy our work and be profitable. Resilience is becoming more important in the face of changing climate patterns and their consequences, especially in mountain destinations. But how to go about it? Resilience is an “inside out” approach. It is starting by yourself and then you can expand it globally. Mountain and nature are a good way to learn about resilience and it starts by learning what is humility and gratitude for the beauty of the landscape. How important is a hotel’s sustainability performance nowadays for its commercial competitiveness? Everybody today is looking for more respect for the environment and people want to experience authenticity. So any hotel should walk the talk and create the conditions for their clients to live such experiences. Growing greenhouse gas emissions are perhaps the main drawback preventing tourism from becoming more sustainable. Which strategies have you implemented at Montagne Alternative to reduce emissions? We use solar energy as heating system. We buy local. Wood and stone have been the main raw material for construction. We have our own garden, …. 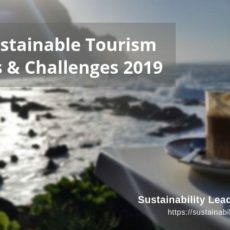 Which 3 bits of advice could you share with future tourism sustainability leaders and changemakers in terms of how to succeed and make a positive impact? Dare to do your best to be authentic and anticipate the needs of clients. Use local resources to develop and manage your project. More about Montagne Alternative here. Connect with Benoit Greindl on LinkedIn. 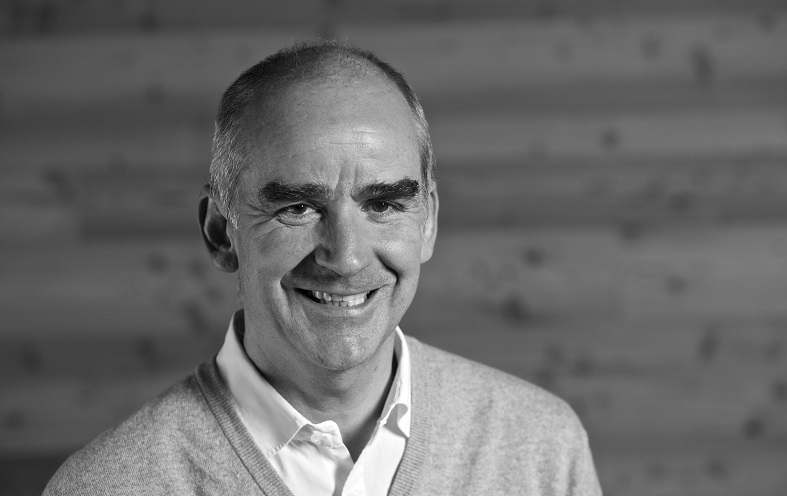 Our interview with Benoit Greindl is part of a special series with sustainable tourism leaders and changemakers in Switzerland, supported by Swiss Youth Hostels, Swiss Travel System and SWISS. Enjoyed our interview with Benoit Greindl of Montagne Alternative in Switzerland? Spread the word!